We are up early this morning for some fishing before pushing away from Toba Wilderness Resort. 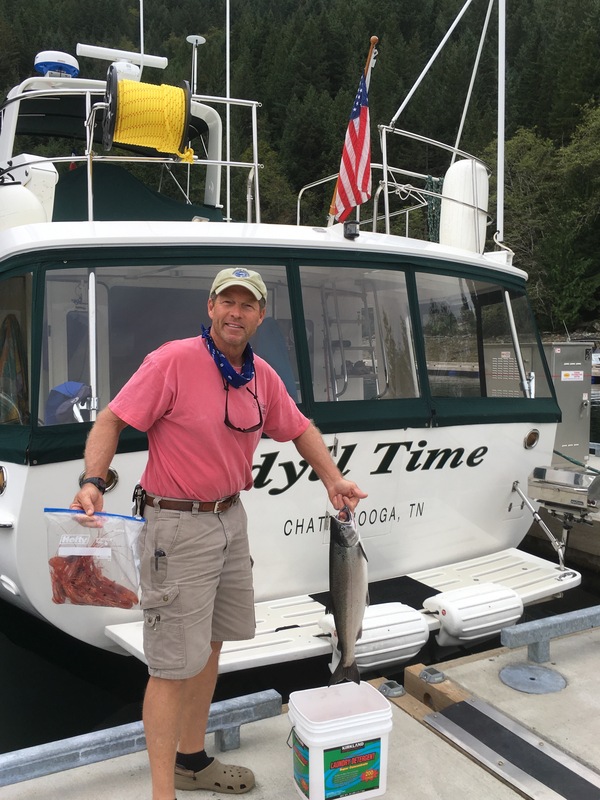 Within thirty minutes we have one nice salmon in the box and another one on the hook. The second one is small so we let him go. 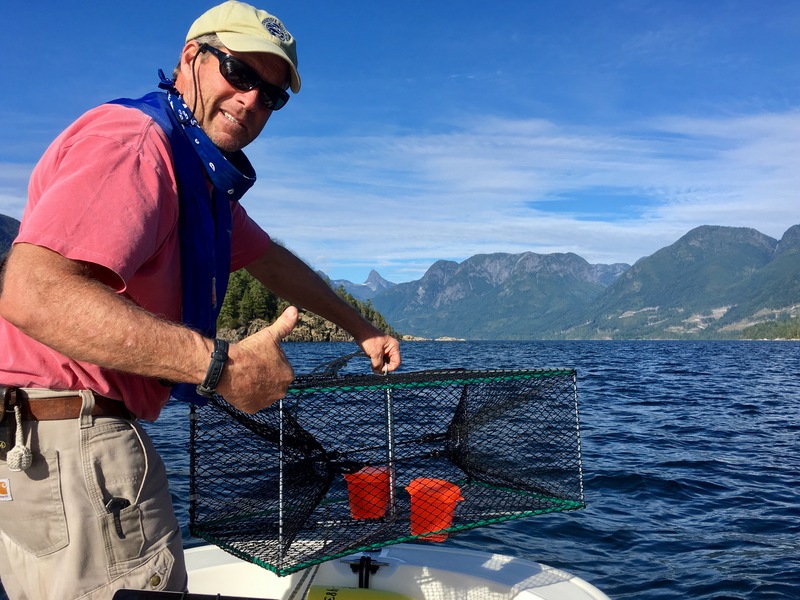 Hauling our prawn trap we find 20 nice size shrimp in the trap. Not bad for an hours work! Saying goodbye to Toba , we decide to do some sightseeing before heading to our next anchorage. The Tobas Inlet continues north for another 20 miles. Most boats don’t travel up this Inlet because there are no suitable anchorages. It is just too deep with depths reaching over 1800 feet. 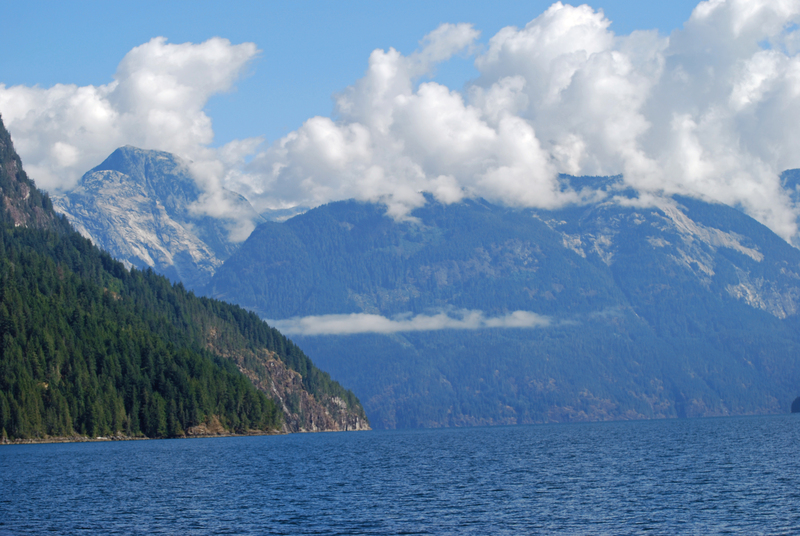 Words and pictures hardly do justice to describing this mountainous portion of the British Columbia coastline. The farther north we go the more vertiginous the mountains become rising 8000 feet straight up from the milky blue water. We have this beautiful waterway all to ourselves with not another boat in sight. Prideaux Haven is our home for the next four days. This collection of lagoons and coves along the mainland make for an almost perfect anchorage. The views from here are some of the prettiest anywhere in Desolation Sound. We start our morning each day with a good workout of hauling our shrimp trap from its 300 ft. depth. The first morning we have a trap full of what we call Spider Shrimp. 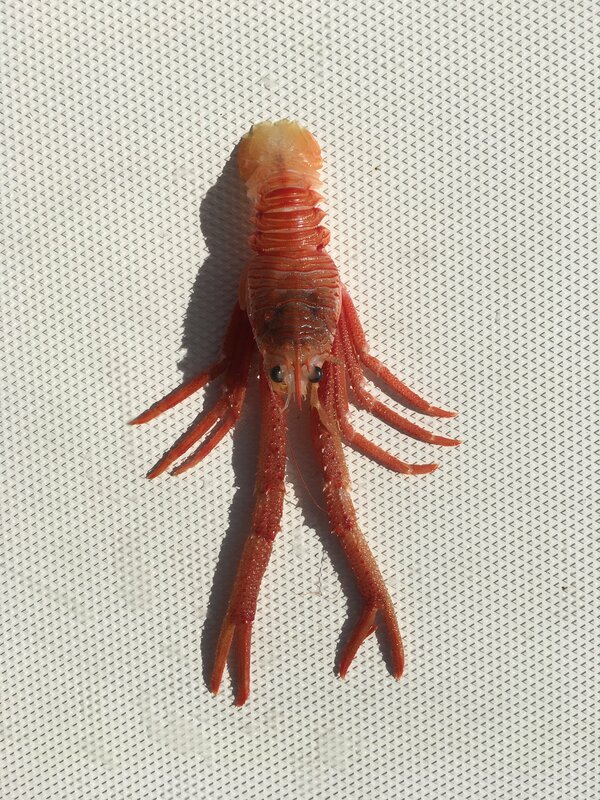 There must be 70 of these weird looking crustaceans in the trap. They aren’t as meaty as the Spot prawns but we decide to try them. 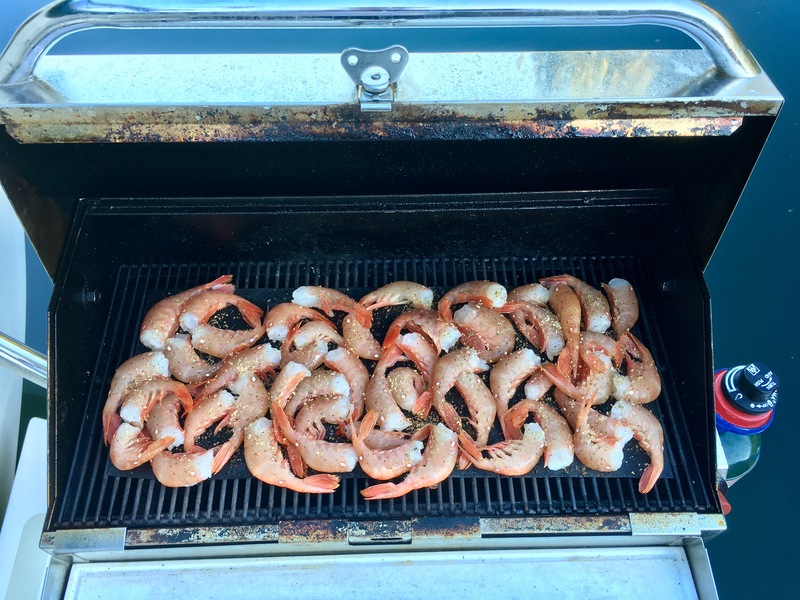 Over the next few days we collected enough spot prawns for several dinners. Along with the salmon caught in Toba we eat very well. 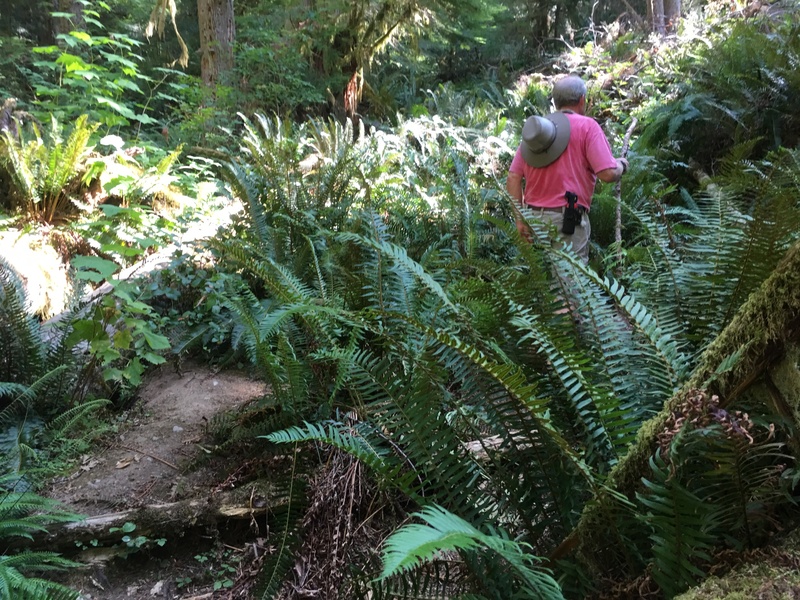 We spend our afternoons stomping through the dense forrest along some old hiking trails at the head of the Cove. We are in search of the remains of two cabins belonging to hermits who lived here in the 1930s. Phil Lavine lived in Laura Cove and Old Mike in Melanie Cove. We hiked the trail from Melanie Cove to Laura Cove but never found any evidence of the cabins. This area was described in the now classic book “A Curve of Time” by M. Wylie Blanchet. It is a great read for anyone interested in boating these waters. 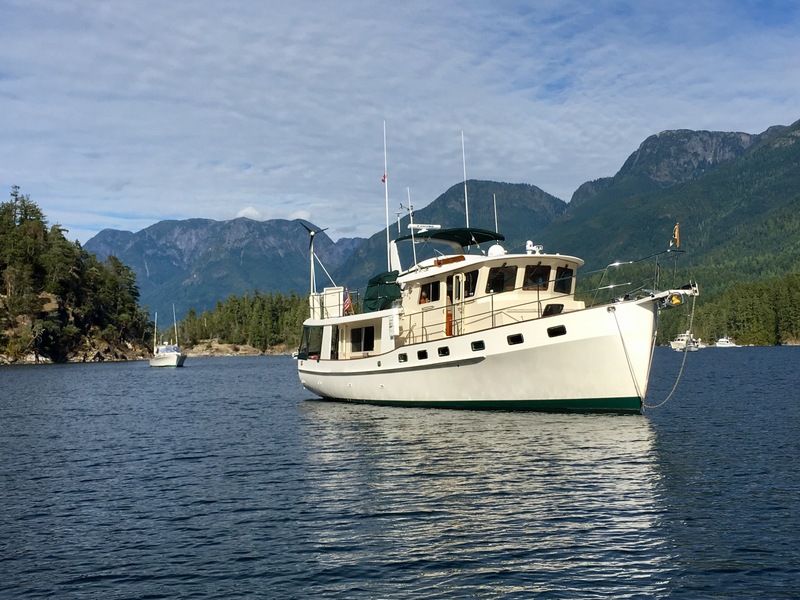 This is a true story of a woman and her five children who explored the British Columbia coastal waters in the 1920-30’s aboard their 25 foot boat. The family spent many summers in this Cove. She was a lot tougher than I am. Hiking through the brush all by ourselves is a little eerie. It doesn’t help that just yesterday we overheard a VHF transmission to the Coast Guard by two men on one of the nearby islands. They were requesting that someone come get them as the Grizzly Bear was coming closer and closer. Our little spray bottles of bear spray would probably not even phase a big grizzly. 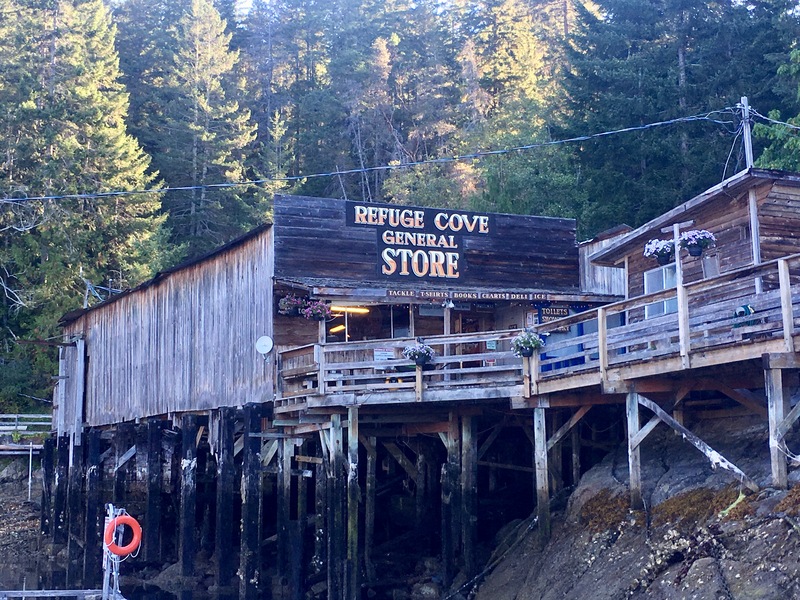 Leaving Prideaux Haven, we make a stop in Refuge Cove to check out the small store. 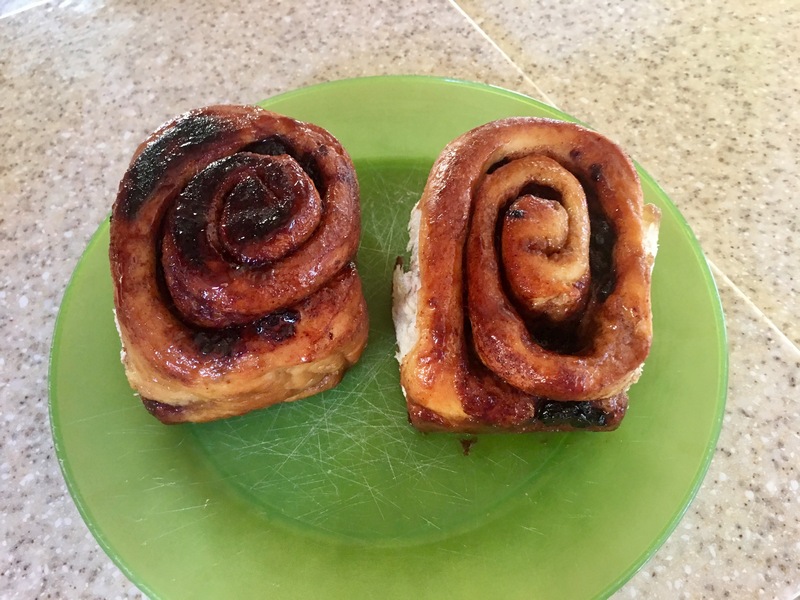 It is our lucky day as homemade cinnamon rolls had just come out of the oven. I have to say these are the best of the trip so far. It is a short cruise to our anchorage in Cortes Bay. Tomorrow we will start our return trip down Malaspina Strait and across the Strait of Georgia to Nanaimo. This entry was posted on September 27, 2017 at 9:46 pm. You can follow any responses to this entry through the RSS 2.0 feed. You can leave a response, or trackback from your own site.